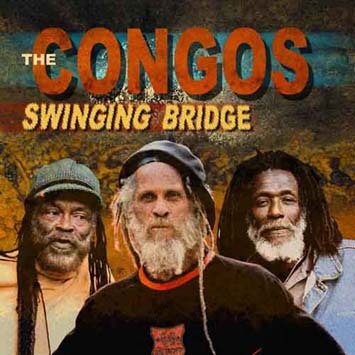 The sound of this album is not the best you could hope for a band who released the classic "Heart Of Congos" (way back in 1977), but it's more than nice to hear the mesmerizing voices of the original Congos (Watty Burnett, Cedric Mython and Roy Johnson) harmonizing together again. The songs are solid, a mix of spiritual, haunting chants and sweet reggae music, this is not a marketing quickly recorded cheap thing like you might suspect at first. Too bad the mastering is really horrible this could have been a massive comeback catalyst. Go see them on stage! Le groupe légendaire revient enfin au grand complet avec tous ses membres originaux et une vibe incroyable qui nous replonge dans l'ambiance de titres tels que Fisherman Prayer à savoir du très grand CONGOS qui distille un roots inégalable et pur. La sortie de l'album sera le parallèle d'une tournée française digne d'une légende du reggae.